ImageThink is a graphic recording and facilitation firm founded in New York City in 2009. Featured in TED Talks, on the Today Show, and in Forbes and the Wall Street Journal, ImageThink has visualized the big ideas of some of the most influential companies and thought leaders on four continents in thirteen countries. 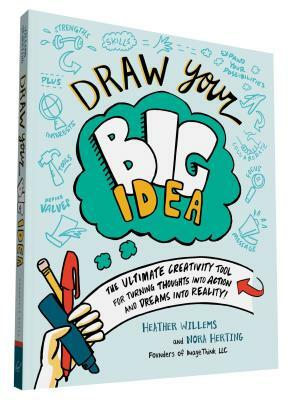 ImageThink cofounder Heather Willems is a business strategy consultant with a background in art and education. She lives in Brooklyn, New York. ImageThink cofounder Nora Herting is an award-winning artist with a history in education and facilitation. She lives in Brooklyn, New York.